Chicago has always embraced bold and innovative concepts, so it's no question that the current cocktail scene is filled with new bars that are pushing the envelope. They take their alcohol seriously here- and just like their food, it's not just about what you're eating, it's about the experience. Here are my top 5 swanky bars you need to try for some of the best cocktails and ambiance in the city. 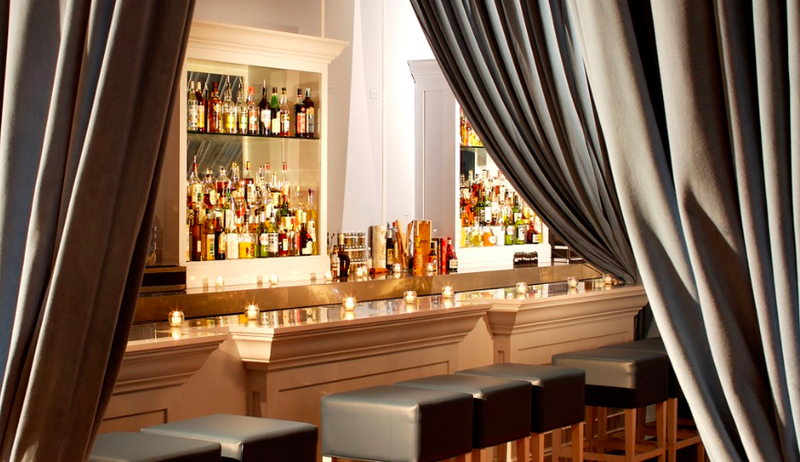 This turn of the century architectural gem turned modern and refined cocktail bar offers curated cocktails, fine spirits & wines, and elegant food made with seasonal ingredients. The Loop's latest post-work hotspot- This all day French bakery, restaurant and bar serves up delectable French classics and specialty cocktails. Tip: It is SLAMMED after work hours so be sure to arrive early for happy hour. What you're having: Adult sno-cones! Their "Daily Shave" cocktails are a must. My favorite is the White Negroni (pictured): Hayman’s Old Tom Gin, sweet vermouth, Lillet Blanc, orange bitters. For those looking for a sophisticated and stylish speakeasy experience, the Violet Hour is the place for you. A seasonal cocktail menu consists of house made bitters, fresh juices and garnishes, and multiple types of ice in all shapes, sizes and temperatures. Tucked into the second floor of the Waldorf Astoria Chicago, this swanky bar, described as the city's "haute hangout," offers classic cocktails, premium spirits, and a few house-made bar snacks. This is an obvious choice I couldn't leave out for so many reasons. This legendary jazz club was Al Capone's favorite hangout spot in the 20s- need I say more? History lives here, and it's simply a Chicago MUST.